And sale of assets such as real estate. Your probate attorney will guide the PR through the legal requirements for estate administration in order to facilitate a smooth and prompt asset distribution. However, grieving the death of someone close is painful. Family relationships are complicated. After the death of a loved one, the distribution of family heirlooms and wealth may re-ignite sibling rivalries and amplify latent discord. 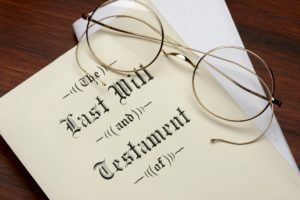 Litigation may ensue if an heir or beneficiary believes they are being deprived of a rightful inheritance. This can boccur if a caregiver or other beneficiary exercised undue influence, the PR shows bias or engages in self-dealing, the PR fails to satisfy the fiduciary obligations imposed by law, or there are problems with the estate’s accounting. If you get caught up in this typeof dispute, an experienced trial attorney can protect your interests. The Trustee has a fiduciary obligation to manage and distribute the trust assets in strict compliance with the terms and conditions of the trust. Although trusts do not require court approval, the Trustee may need legal advice to determine the best way to comply with the terms of the Trust, how to terminate the trust, and the preparation of fiduciary accountings and inventories. Unfortunately, trustees sometimes ignore their fiduciary obligations or usurp trust assets for their own personal use. When trustees act abrogate their responsibilities, litigation can be instituted to remove the trustee, obtain restitution of sums wrongfully taken, or otherwise rectify the situation. We will focus on helping you facilitate the transfer of a deceased loved one’s estate as efficiently and painlessly as possible, so you can concentrate on dealing with your loss. If the estate becomes contested or problems arise with trust administration, our experienced trial lawyers will use their courtroom skills to protect your interests, regardless of whether you are a beneficiary, trustee, or Personal Representative.